As a CPA, I am asked a lot of questions regarding tax benefits and credits for children. One of the more interesting questions I have heard is “Why do they take away benefits as the kids get older? They don’t cost less, they cost more – a lot more”. While I don’t really have a good answer, one thing I do explain is that there are different benefits and credits that apply to older children as it pertains to their college education. One of the biggest decisions in a person’s life is what college to attend – or whether to attend at all. The decision and the subsequent attendance and performance will likely have more of an impact on their overall comfort and life style than any other event or decision in their lives. That’s a lot of pressure and responsibility for our youth. One factor that should not affect the outcome is money but, of course, it does. Many kids have to settle for community college or a local university when they may have done something very different if money wasn’t a factor. Kids that choose to not to settle for less, and instead attend the school of their dreams, often receive more than a degree and an education. They begin their lives deeply in debt. Today, four years at a private university will run around $116,600. For a child born today, it is projected that the cost when they turn 18 will be $332,800. A public university will be about $87,200 – still prohibitively expensive for many. With this in mind, congress gave us an incentive to save for our children’s education. They are known as 529 plans and Coverdell plans. While there are differences, they both have the same basic features. If you are familiar with Roth IRA’s, you already have a grasp on the benefits. The concept is that you contribute after-tax dollars (you don’t receive any present tax benefit). The money is invested and grows tax free. When the apple of your eye is ready to use the funds for education, they are withdrawn free of tax. If the withdrawn funds are used for other purposes, tax and penalty will apply. You may be wondering what happens if your child doesn’t go to college or doesn’t use all of the funds. They can be transferred to another sibling or even to your grandchildren. I like to encourage my clients to make this point known to their child. If they choose to go to school, there is money set aside for it. If they don’t, somebody else will be using their money. 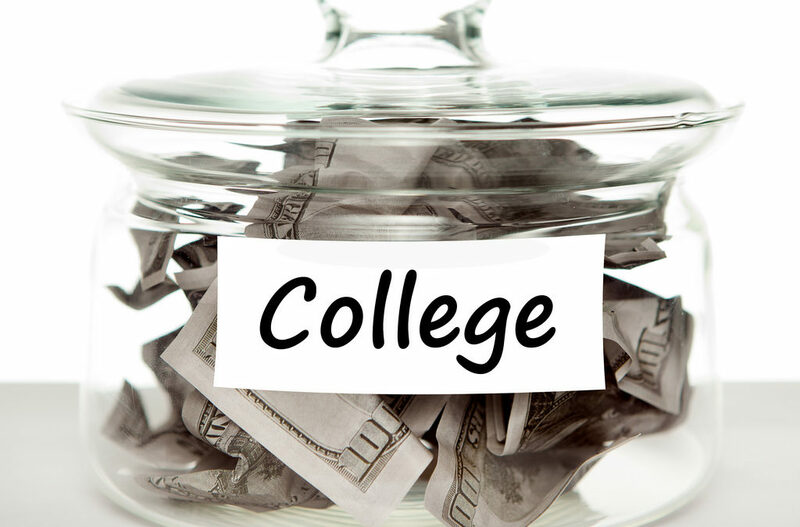 While the 529 and Coverdell plans provide incentives to save for college expenses, once the time comes, there are credits and deductions to help offset the costs. There are two education credits and two types of deductions that can be taken. All of these have income limits, so you may not be eligible for the full amount or any if your income is above certain thresholds. The American Opportunity Tax Credit provides a maximum credit of $2,500, up to $1,000 is refundable, meaning you may receive a check for it even if you don’t owe any taxes. It’s available for the first four years of college. Beyond that point, the Lifetime Learning Credit is available for any other education a student may pursue. The Lifetime Learning Credit provides a maximum credit of $2,000 and has no limit to the number of years it may be claimed. In lieu of the credits, you may opt to claim up to $4,000 in tuition and fees as an adjustment to income. Finally, any student loan interest you may pay can be claimed as an adjustment. You should receive tax forms from the educational institutions and financial institutions that will provide you with the amount of qualifying expenses. In some cases, you can add other costs to these amounts, such as books, computers and supplies. Which credits and/or adjustments to claim to maximize your tax benefit can be complex. Be sure to consult with a tax professional in order to claim the maximum benefits available to you.